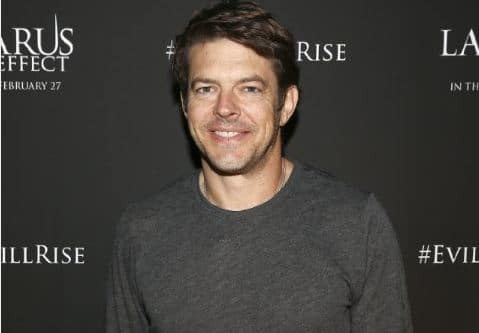 Jason Blum is the producer behind some of the scariest and most successful horror movies in recent memory. His Blumhouse Productions has brought us everything from the Paranormal Activity movies to Sinister, Insidious and The Purge. He also has been branching out of late and thanks to him, we have the Oscar-winning Whiplash. We caught up with Blum to talk exclusively about his latest, The Lazarus Effect starring Mark Duplass, Olivia Wilde and Donald Glover, and he stressed that although Blumhouse is expanding into other genres (they’re producing the upcoming Jem and the Holograms), scaring us will always be their focus. In fact, he revealed in our interview that one of his most anticipated projects is M. Night Shyamalan’s return to the genre with The Visit. Blum also chatted about the directors he has given a shot to, like James Wan (see his work and watch Insidious online), and how they have also expanded into other successful arenas. Wan, for one, is about to release Furious 7. One of those directors he’s giving a shot to is The Lazarus Effect helmer, David Gelb. Movie Fanatic: You’ve seen many horror classics and produced many movies that will be considered horror classics. What does a story have to say to you and how does it have to set itself apart from others for you to decide it’s your next great movie? Jason Blum: It has to, for us, feel like it’s never been done before. Obviously every movie I have ever done has borrowed, it’s impossible to not do that a little bit. But, I really try to look for things that we’re not retreading on things other people or we have done before… at least recently. 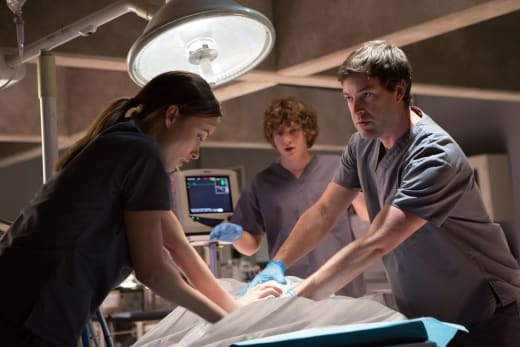 I mean, Flatliners came up a lot with The Lazarus Effect. When I first read the script I thought that was a good thing because a movie like Flatliners has not happened since Flatliners. I like when people say that. People in Hollywood say there hasn’t been a movie like Flatliners in 20 years, let’s not do it. My thinking is, let’s make it. 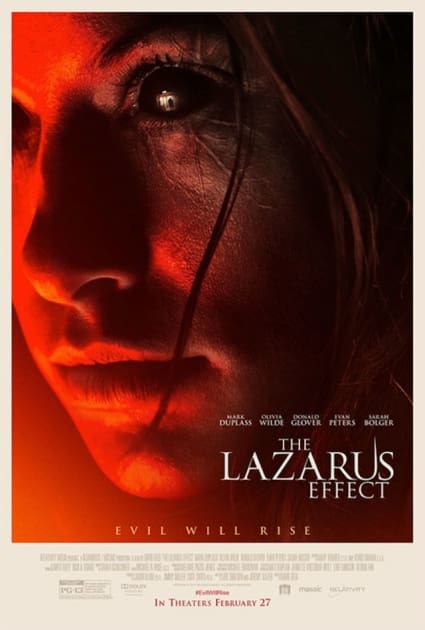 Movie Fanatic: Was the fact that The Lazarus Effect also had a root in science also appealing? Jason Blum: My favorite thing about Ouija was that there are people that believe in the Ouija board and that’s one percent of people. There are a lot of people who think that it’s ridiculous and they don’t believe in it, but I wouldn’t want to play with one. When we were making Ouija, I always thought if we could hook into that feeling with people who think that, that would be scary, right? The same thing goes for Lazarus, which is you can hook into the debate about death and life and people feel very strongly about that, obviously. Is there afterlife? Is there science? Evolution? Creationism? Those are hot button issues and I love that the script talked about that and I like that people will see the movie and argue afterwards. That’s a good thing. Movie Fanatic: Like Mark Duplass’ scientist character. His goals start from the most noble of places -- giving doctors minutes more to save someone’s life. It’s not like he set out to revive the dead. Jason Blum: It just went south [laugh]. Movie Fanatic: You took a chance with David Gelb (director), who had never done a feature before. Jason Blum: But it paid off! Movie Fanatic: What did you see in him and what he had done with documentaries that you thought he was your guy for The Lazarus Effect? Jason Blum: It is! Which David worked so hard on. Movie Fanatic: We just talked about David and you also worked with James Wan. What does it mean to you to find these directors who then go on to other big things, like James is doing Furious 7? Jason Blum: A great director is a great director. I think there is something to the choreography and timing of a scare. You've got to know how to do that. James is the king. Gelb is great at it too because he used to cut trailers. He knows how to choreograph a scare, which is similar to a joke. A great horror director has to learn to do that. It doesn’t come naturally. Movie Fanatic: What do you have coming up that you are excited about? There are lots! Jason Blum: I’m psyched about Unfriended. I think it is going to do well. The movie is so cool. That Unfriended trailer is so original. I’m super psyched about M. Night’s movie, The Visit, which is going to be really scary and effective. It is right in his zone. Movie Fanatic: I think that Blumhouse is branching out and it’s a natural evolution. You have the Oscar-winning Whiplash and you’re working on Gem and the Holograms. Why is it important for you to expand beyond horror? Jason Blum: The focus of the company is always going to be scary. But, we’ve had success in that arena and when you have success you see things. We get to look at scripts that are unusual and that are great. If we see something that is great that isn’t a horror movie, we’re going to make it. I don’t think the company will ever move away from scary. We have expanded into Whiplash or Valley of Violence, which is a Western, but not at the expense of scary movies. Movie Fanatic: What was your first memory of a horror movie? Not necessarily the first movie you saw. But first horror movie moment that rocked your world? Jason Blum: I saw on TV, or VHS, Friday the 13th in Beverlywood in my aunt’s house and I was alone and I was too young and I was scared to death. I was scared for a couple of years [laughs]. I remember it like it was two days ago, even if it was 35 years ago.